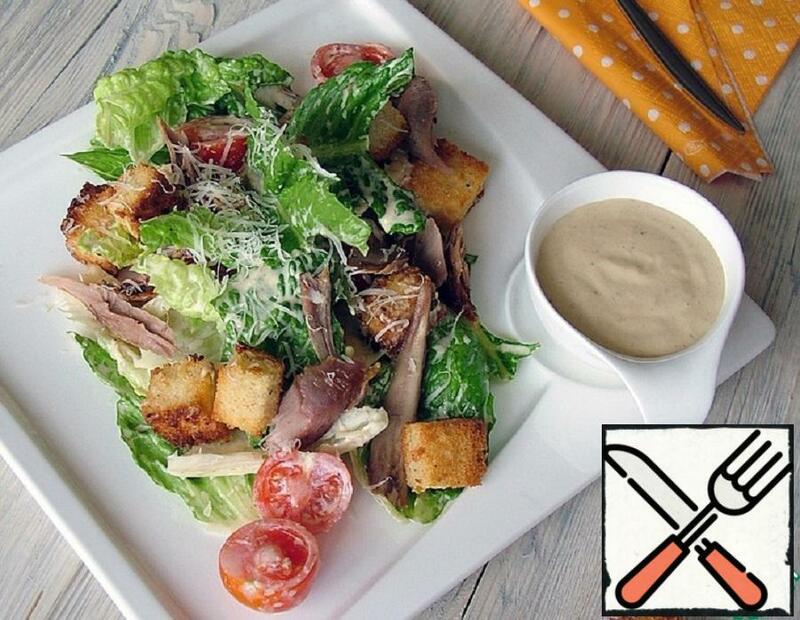 This simple to prepare salad can be safely put in your cookbook, maybe it will become a favorite on Your table. Very tasty! 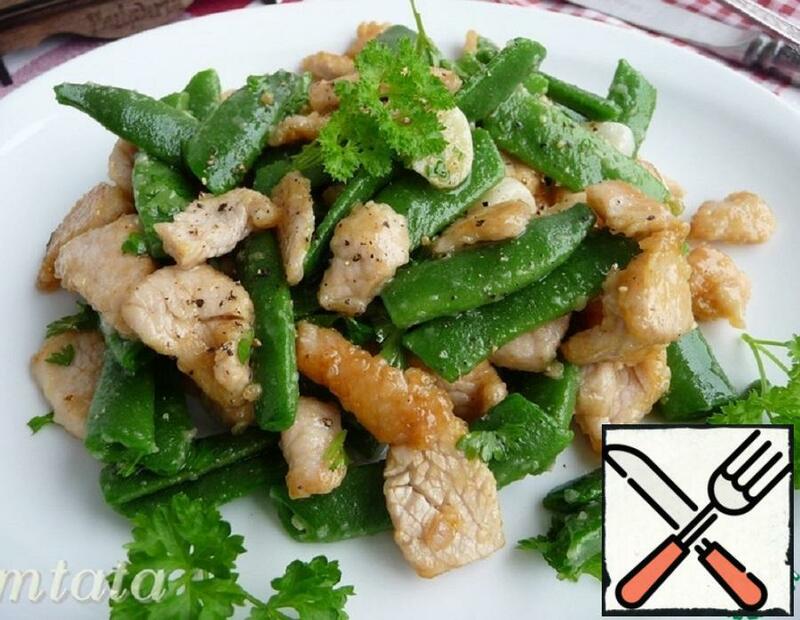 I offer a wonderful snack-Turkey meat salad with string beans. 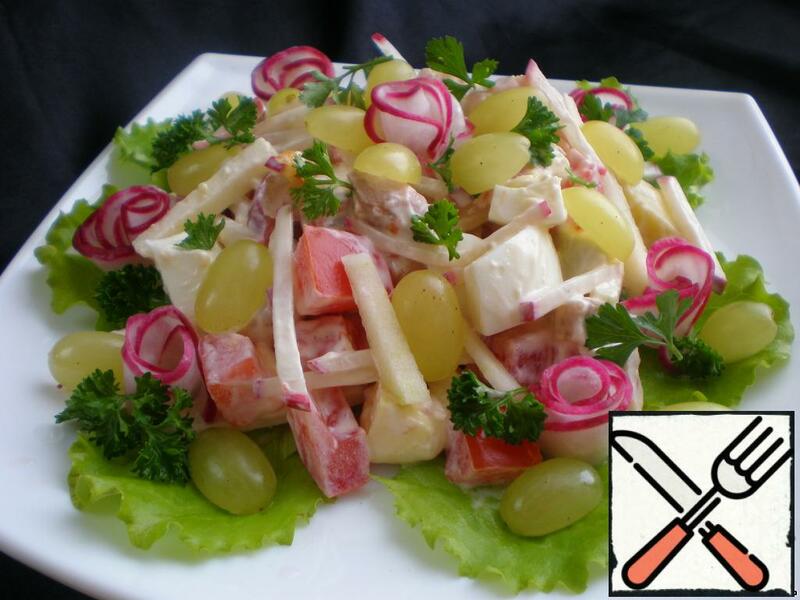 Is preparing very quickly, will delight you with a delicate taste. The dish is moderately spicy and does not require garnish. You can use any meat you like — beef, pork, chicken. 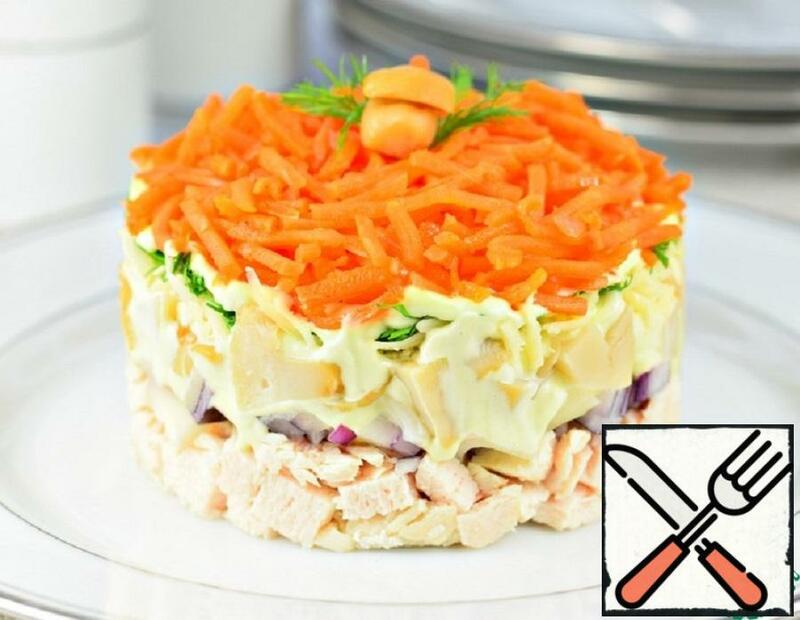 Beautiful and bright layered salad with mushrooms, Korean carrots and cheese. Juicy, gentle, slightly spicy, nourishing, but not heavy. Despite the simplicity, this salad will look very worthy on the holiday table. I’ve been cooking Caesar salad with chicken, salmon, and shrimp. This recipe attracted of course sauce. The first time I made sauce based on boiled eggs and with the addition of Worcester sauce. A delight!